Join us in making a medieval coverlet which we will use as a fine tablecloth for the annual Robin Hood Festival! Follow the map through our beautiful gardens to seek out our fun scenes of spring... not forgetting your chocolate treat at the end! 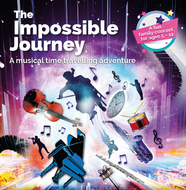 A family concert, for ages 5-11, that will whizz you through time and space with music from Doctor Who and Back to the Future alongside classics from Beethoven, Gershwin and Elvis! 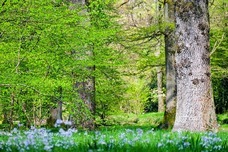 Celebrate Mother's Day with a fabulous meal at Rufford Abbey Country Park. A crime is committed. The offender is brought to court. You and your colleagues decide the verdict. 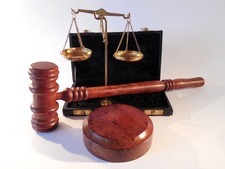 This one day course is for beginners who wish to learn about the justice system and have fun along the way. Aged 16-24 and unsure what you’re doing from September? Inspire Learning Study Programmes are holding an open evening from 4-6pm. Come and chat to our friendly staff. You have received this message because you are subscribed to Nottinghamshire County Council's 'emailme' service for news and information about council services. If you no longer wish to receive this or any other of our other ‘emailme’ topics, you can unsubscribe or edit your subscriptions.